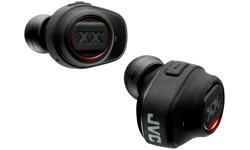 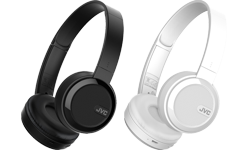 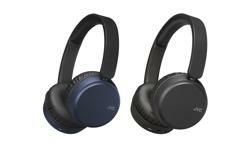 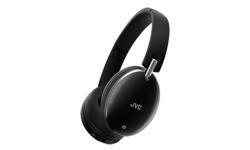 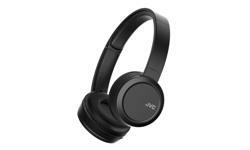 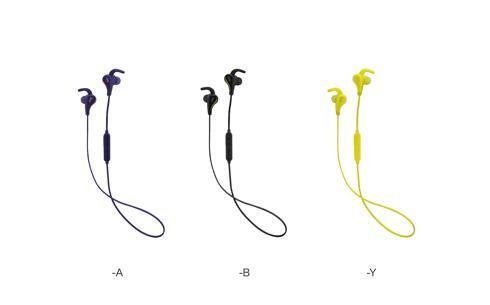 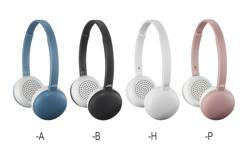 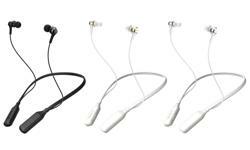 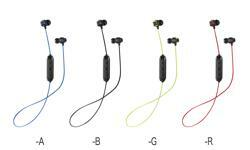 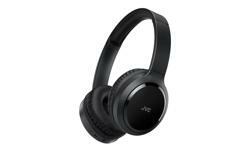 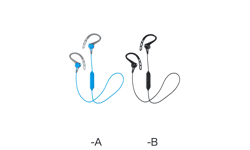 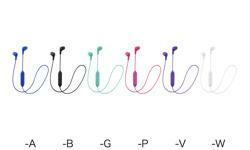 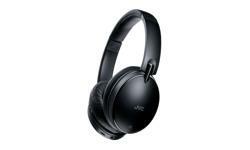 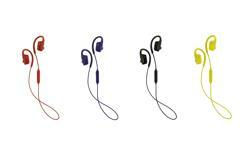 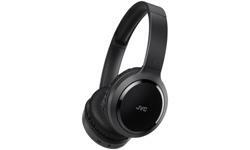 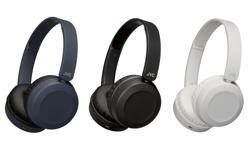 JVC HA-ET50BT Wireless in ear Bluetooth headphones • JVC U.K. 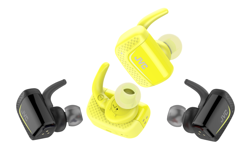 Simply pair these fantastic HA-ET50BT in ear Bluetooth wireless headphones to your device, and hit the road! 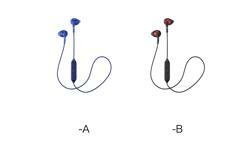 The ergonomic “Pivot motion fit” design provides a comfortable, secure fit during your work out. 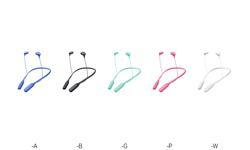 They are water resistant (IPX5) and come with an in-line 3 button mic and remote, giving you the freedom to change volume and receive important calls on the move. 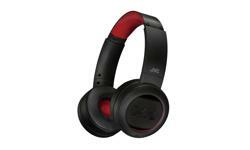 Taking a break? 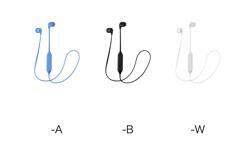 Just put the headphones around your neck and the smart cable management and magnetic housing will hold the two ends together. 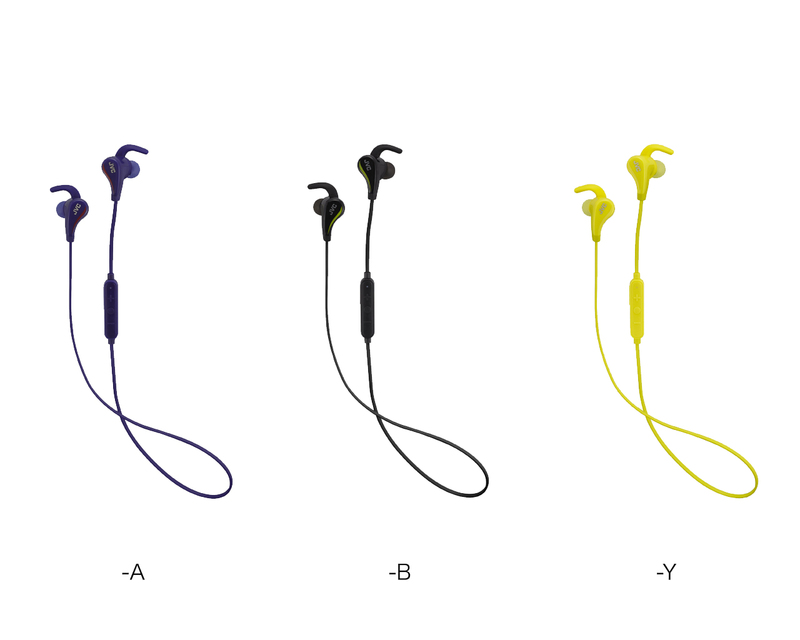 With 9 hours of battery life, music is at your fingertips. 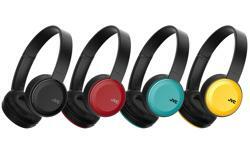 Available in choice of three colours black, blue, and yellow to suit your style.